sandwiched somewhere between the sea and the South Downs. I'm a designer, teacher, ​printmaker and software trainer. I specialise in training on the core Adobe Creative Suite Applications such as Photoshop, Illustrator and InDesign and offer bespoke training for individuals and organisations. When I'm not teaching or training I like to indulge in my renewed passion for printmaking and currently work using linocuts and wood engravings based around my photos and drawings. 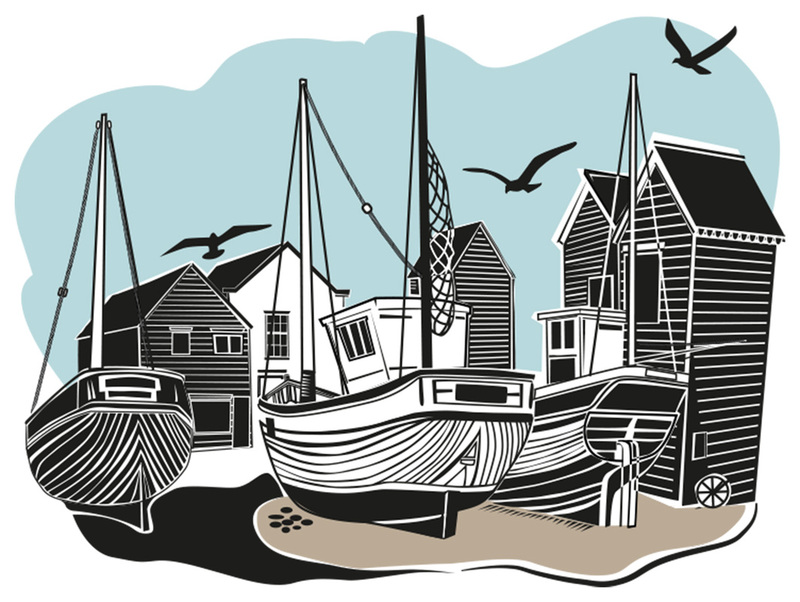 Preparatory drawing using Illustrator for a linocut.